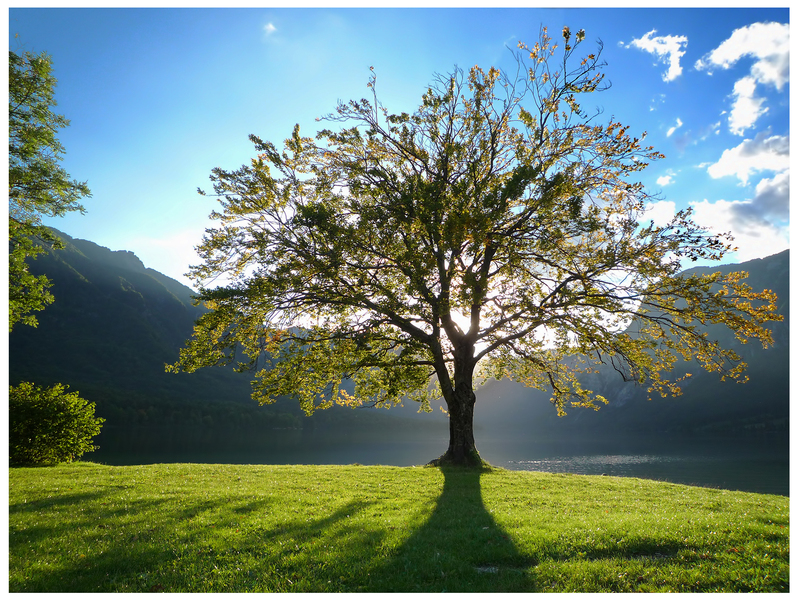 Below is an interview with Samuel Alexander, director of the Simplicity Institute, fellow of the Melbourne Sustainable Society Institute and lecturer at Melbourne University on the Masters of Environment program. Here he explains what degrowth means in terms of sustainability, grassroots organising and reducing global inequalities, as well as the PR battle the degrowth movement currently faces. Q: What would a degrowth society look like? SA: A lot of mainstream environmentalism still clings to the idea that we can dematerialise our ways of living without giving up what is essentially an affluent consumer lifestyle. One of the provocations the degrowth movement offers is whether true sustainability, one planet living, actually implies a rejection of the affluent consumer way. Degrowth distinguishes itself from some of the philosophies of voluntary simplicity (VS) that have come out of the US in particular. VS in its first phase was an attempt to reduce consumption from within the capitalist way of life. Degrowth recognises that downshifting or living simply within growth, capitalist structures isn’t going to solve many of our problems and it tends to be limited to a privileged few. The existing structures we live in often lock us into high consumption ways of living, even if that clashes with our value systems. Degrowth is about exploring post-consumerist lifestyles at the personal level, but also recognises that we need to organise at the community level and start building the degrowth economy B underneath, or within the shell of, the deteriorating growth economy A.
Degrowth recognises the developed world is grossly in excess of its fair-share ecological footprint. Any transition towards a truly just and sustainable world implies not just a movement away from continued growth. Degrowth means a process of planned economic contraction, to be distinguished from recession which is unplanned economic contraction. Degrowth doesn’t just mean a shrinking of the macro economy. There is so much more to it than that. It’s about rethinking the way we spend our leisure; how we interact with our community members; how we source our food; the dominance and nature of our markets; the extent to which we are exposed to advertising; the motivations we have for wearing certain forms of clothing. It’s a movement away from status seeking. Perhaps human beings will always want to be recognised and appreciated and loved, but we live in a culture where if we have a nice car and live in a fancy house, if we can spend our holidays in exotic places, this somehow shapes our identities. A degrowth society is one that offers quite fundamentally different rewards and incentives. 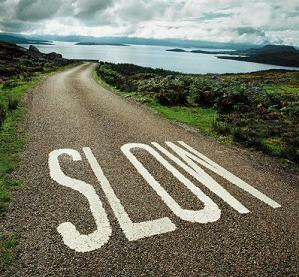 Our culture does not yet seem ready to take degrowth seriously, despite decades of rigorous scientific literature telling us the growth model is eating away at the biophysical foundations of our existence. At the same time, disparities of wealth are more perverse than ever. Degrowth doesn’t just mean a contraction of the economy, it also implies a rethinking of how we deal with issues of poverty. Under the growth model, poverty is assumed to be something that is solved through further growth by way of some trickle-down effect. If the global economy must shrink for biophysical reasons, solving poverty implies a redistribution of wealth from the rich to the poor. Q: How do we transition to a degrowth model? SA: At this stage, the most important work is in engaging communities at a local level. It involves telling new stories of prosperity and about the importance of sufficiency. Once our biophysical needs are met, human beings don’t actually gain all that much wellbeing from limitless consumerism. The driving force for a degrowth society has to come from below, rather than it being imposed from above. In fact, it may not be something that can be imposed on us. The transition strategy has to be devised and implemented from the grassroots up, rather than thinking we can wait for our politicians to institute this, because the state, almost inherently, is an institution of growth. The state needs funds. A larger tax base would allow the state to be able to do more things and that makes it very difficult for politicians to think seriously about a post-growth or degrowth model. Serge Latouche, one of the prominent scholars in the degrowth movement, talks of degrowth as being a matrix of alternatives. Degrowth doesn’t mean only one thing and the questions it raises need to be interpreted and implemented in context specific ways. So a movement for degrowth in Melbourne, Australia might be very different from a degrowth movement in rural India or in South America. Q: What would natural resource management look like from a degrowth perspective? SA: Economic growth and resource extraction are highly correlated. As economies have grown, that has almost always tended to increase their material and energy use. It is theoretically possible to grow our economies in terms of GDP and at the same time decrease our material footprint. It is possible to decouple, to some extent, our economic activity from material impact. But when you look at the evidence, this doesn’t happen as a rule. There are exceptions to it, where we are learning to do more with less. We live on a finite planet. Under the growth model, non-renewable resources are being used up at an extraordinary pace. We also see that renewable resources are being eaten away at faster than they can be regenerated. This is essentially the argument that was made as early as John Stuart Mill in 1848, with the modern version of the argument, The Limits to Growth, published in 1972. They’re saying that on a finite planet, limitless or infinite growth is an impossibility. It is an absurdity. The degrowth movement says that if we are to take the environmental crisis seriously, we need to acknowledge there is no solution within the growth model. We can talk about the theoretical possibilities of decoupling, but if historically decoupling has not occurred, or occurred anywhere near enough, it implies we must explore a degrowth model. It means rethinking what we think we need to live well. One of the concepts I feel lies at the centre of degrowth is the notion of material sufficiency. As biophysical creatures we need food, water, clothing and housing. We all want to have some form of social education. When we get sick we want access to basic medical supplies. Beyond that there will still be things we think are necessary for a good life. Somebody will want a guitar, or a sewing machine. There are still things beyond the absolute necessities of life that will exist within the degrowth society. However, the question the degrowth movement puts to us is, ‘How much is enough? How much is too much?’ If we don’t ask ourselves those questions, we will forever think we need more. We will never realise we have enough. When we take these questions seriously, we can then say we don’t need to be cutting down so many trees. We don’t need to be emptying the oceans at the pace we are emptying them, or growing our food with intensive industrial methods. Through the exploration of alternatives we will find we can thrive as human beings, as local communities, while at the same time demanding so much less from our one and only planet earth. Q: What does degrowth mean for the majority world? Obviously degrowth doesn’t mean that people in Ethiopia or the Congo, or even the poorest people living in the ghettos of south-central L.A., should consume less. Degrowth is first and foremost a macroeconomic framework and social philosophy aimed at the over-developed regions of the world. One way to think of it is in terms of contraction and convergence. Just as the richest nations or regions must radically downscale the extent and impact of their economic activity, in some form the poorest nations and regions might need to develop their economic capacities, simply to meet their basic material needs. Nobody can deny anyone that right. It is a mistake, however, to think that means trying to turn the global south into the global north. That would be catastrophic. There is a risk with the overdeveloped world prescribing what degrowth means to the global south. Degrowth might mean a withdrawal of control and saying our form of development led us to a world grossly in excess of what the planet can sustain. It led to disparities of wealth that were nothing other than perverse. Not only that, the promise of consumerism has failed us. It would be catastrophic, sad and tragic, to say nothing of grossly unsustainable and unjust, for us to try to fix global poverty by turning the global south into the global north. This isn’t to say there shouldn’t be some resource transference – we have taken so much that the least we could do is assist their transition beyond poverty. The vision of the degrowth movement, ultimately, is to create a global economy, even if it isn’t globalised in the sense we know of it today. We could create a global, human community that thrives within the biophysical capacities of our one planet. Q: How widespread is the degrowth philosophy? Mainstream political and economic discourse defines degrowth as unthinkable and unspeakable. There is not yet, and there may never be, a movement that marches strongly under the banner of degrowth. That could be because the term has some serious public relations issues. We live in a world still deeply entrenched in the growth model. When people hear of degrowth their instinct is to think that if growth is good and natural, then degrowth must be unnatural and not good. The reason degrowth uses this language is because it can’t be co-opted. Sustainable development, sustainability, environmentalism – these terms have been rendered almost meaningless by virtue of the fact corporations and politicians have used them to justify business as usual. You cannot say that degrowth means growth without degenerating into Orwellian double-speak. 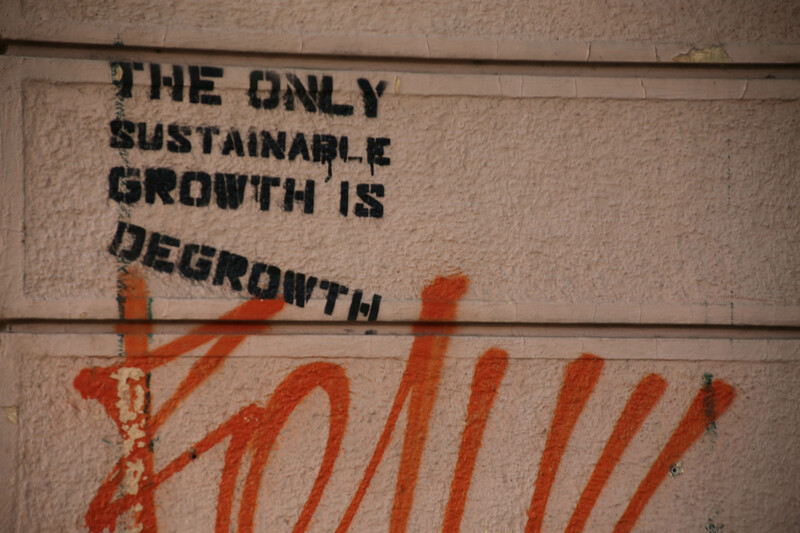 Degrowth is trying to provoke a broader social conversation about the problem of growth and the necessity of an alternative macroeconomic model. Whether or not that should ever be the basis of a political campaign or a social movement remains to be seen. It may be that notions of a sufficiency economy, a wellbeing economy, the economics of happiness or a sharing economy, all of which overlap deeply with the degrowth movement, may be more attractive to the public. It’s an exciting moment in both the intellectual debate and also in the social-activism scene. There has been a critique of growth bubbling under the surface for decades, which is now coming to the surface as a result of the on-going global financial crisis, the worsening climate situation and the failure of growth capitalism to deal with problems of poverty. All of these overlapping issues have culminated in the first decades of the 21st century and forced us to rethink our notions of progress, our myths of civilisation. It would be a terrible shame if we persisted with these myths and false solutions. I hope we are brave, courageous and insightful enough to rethink those models and to explore the questions degrowth poses to us. If you take an Apple, cut into 8slices, take 1 piece, remove skin, this is the atrea of the World has to GROW FOOD! !